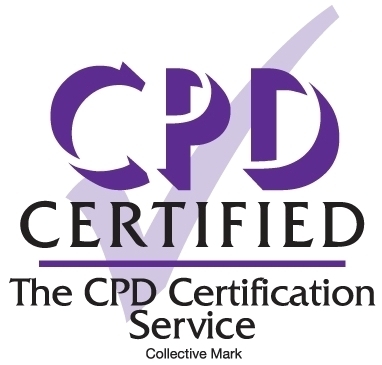 MSELECT is offering a Diploma in Finance Management and Accounting certified by the Continuing Professional Development (CPD) institute from the UK. Participants are able to take all 8 courses to receive an internationally certified “Diploma in Finance Management & Accounting” or they can take individual modules, each of which is also certified by CPD. The MSELECT Academy membership number in CPD is 11329 and the course certificate number is A010843. The participant certificate is from the CPD. The training language is English, so anyone who speaks fluent or advanced English may take the course. No prior experience is required, just a willingness to learn and a desire to improve oneself. Trainers will use the following training methods to deliver the content of the course. Anas Al Haj Hussein has a Master’s Degree in Finance and Banking, he has been training individuals in Finance and Accounting since 2006, he is currently a professor of Finance and Banking with Ishik University, designing, developing and delivering academic lectures, seminars and tutorials in modules including; Accounting, Finance and Banking, Business Finance, Managerial Accounting, Cost Accounting and Accounting Software (QuickBooks). Alongside his carrier in teaching, Anas has held key supervisory positions in several international banks, as Credit Control Senior Officer with the International Islamic Bank, and Deputy Credit Control Manager with Cham Bank. This has enriched his experience to deliver his courses with special attention to the practical aspect of Finance and Accounting. Anas is certified from French Lebanese University in Academic Teaching Methods. Certified from the European Commission as Economic and Financial Analyst. and is a level1 Certified Financial Analyst candidate. Anas is fluent in English as it has been the language of delivery throughout his carrier since 2006. The full diploma is acquired over the course of 6 weeks, 4 days a week, after working hours; from (5:30 to 9:00 pm). Classes start on Sunday, January 13th and continue through Wednesday, February 20th. The fee for this course is $995, including materials. However, those who bring someone along will receive a 20% DISCOUNT. So don't wait -- register online now or email training@mselect.iq for further information! For more information, please call 066 261 4455 or 0772 617 5794.